At Abar Onsite Fleet Services in Orlando, FL, we make it our priority to keep your Duramax engine running safely and efficiently with regular service, repair and maintenance. Maintenance is important to keeping your Duramax engine running in top condition and lasting long into the future. We provide inspections for your Duramax engine with any service which helps limit the amount of repairs needed on your truck. We have many years of experience in fixing Duramax engines, along with mechanics that are up-to-date with current technology and equipment. 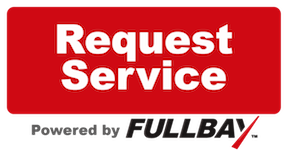 Our knowledgeable and friendly staff, technicians and mechanics are here to help you with all of your Duramax engine's service and repair needs. Abar Onsite Fleet Services is a full service repair & maintenance shop for diesel trucks, semi trucks, trailers, heavy equipment and fleet maintenance. Click here for more information on the services we provide. Our Duramax repair and service shop is located in Orlando, FL. We proudly serve the following areas: Orlando, Altamonte Springs, Interstate 4, Apopka, Kissimmee, Highway 528, Highway 91, Sanford, Lakeland and surrounding areas. We at Abar Onsite Fleet Services look forward to being your Orlando Duramax repair and service shop. Click here to contact us, or give us a call at . Schedule an appointment for your next Duramax service or repair today!